Why does every new stage of God’s work encounter the wild defiance and condemnation of the religious world? What is the root cause? “And He began to speak to them by parables. A certain man planted a vineyard, and set an hedge about it, and dig a place for the winefat, and built a tower, and let it out to farmers, and went into a far country. And at the season he sent to the farmers a servant, that he might receive from the farmers of the fruit of the vineyard. And they caught him, and beat him, and sent him away empty. And again he sent to them another servant; and at him they cast stones, and wounded him in the head, and sent him away shamefully handled. And again he sent another; and him they killed, and many others; beating some, and killing some. Having yet therefore one son, his well beloved, he sent him also last to them, saying, They will reverence my son. But those farmers said among themselves, This is the heir; come, let us kill him, and the inheritance shall be our’s. And they took him, and killed him, and cast him out of the vineyard. What shall therefore the lord of the vineyard do? he will come and destroy the farmers, and will give the vineyard to others” (Mak 12:1–9). “Then gathered the chief priests and the Pharisees a council, and said, What do we? for this man does many miracles. If we let Him thus alone, all men will believe on Him: and the Romans shall come and take away both our place and nation. … Then from that day forth they took counsel together for to put Him to death” (Jhn 11:47–48, 53). The reason that man opposes God stems, on the one hand, from the corrupt disposition of man, and on the other hand, from ignorance of God and lack of understanding of the principles of God’s work and His will toward man. These two aspects merge into a history of man’s resistance to God. Novices in the faith oppose God because such opposition lies within their nature, while the opposition against God of those with many years in the faith results from their ignorance of God, in addition to their corrupt disposition. The work of God continues to advance, and though the purpose of His work remains unchanging, the means by which He works are constantly changing, and thereby so are those who follow God. The more work of God, the more thoroughly man comes to know God, and the disposition of man changes accordingly along with His work. However, it is because the work of God is ever-changing that those who do not know the work of the Holy Spirit and those absurd men who do not know the truth become opponents of God. Not ever does the work of God conform to the conceptions of man, for His work is always new and never old. Not ever does He repeat work of old but rather forges ahead with work never before done. As God does not repeat His work and man invariably judges the work of God today based on His work of the past, it is exceedingly difficult for God to carry out each stage of work of the new age. Man presents far too many hindrances! The thinking of man is too hidebound! No man knows the work of God, yet they all define such work. Away from God, man loses life, truth, and the blessings of God, yet neither does man accept life nor truth, much less the greater blessings God bestows upon mankind. 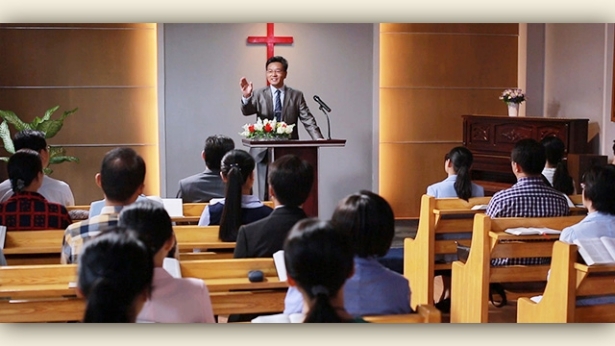 All men wish to gain God yet are unable to tolerate any changes in God’s work. Those who do not accept the new work of God believe that the work of God is changeless, and that the work of God forever remains at a standstill. In their belief, all that is needed to gain eternal salvation from God is to keep the law, and as long as they repent and confess their sins, the will of God will be forever satisfied. They are of the opinion that God can only be the God under the law and the God who was nailed on the cross for man; it is their opinion too that God should not and cannot exceed the Bible. It is precisely these opinions that have shackled them firmly to the law of old and kept them fettered by rigid regulations. Even more believe that whatever the new work of God, it must be substantiated by prophecies, and that in each stage of such work, all those who follow Him with a true heart must also be shown revelations, else that work could not be that of God. It is already no easy task for man to come to know God. Taken in addition to man’s absurd heart and his rebellious nature of self-importance and self-conceit, then it is all the more difficult for man to accept the new work of God. Because there are always new developments in God’s work, thus there is new work, and thus there is also work that is obsolete and old. This old and new work is not contradictory, but complementary; each step follows on from the last. Because there is new work, the old things must, of course, be eliminated. For example, some of the long-established practices and habitual sayings of man have, coupled with man’s many years of experience and teachings, formed all manner of conceptions in the mind of man. Yet more propitious to the formation of such conceptions by man is that God has yet to fully reveal His true face and inherent disposition to man, combined with the spread, over many years, of traditional theories from ancient times. 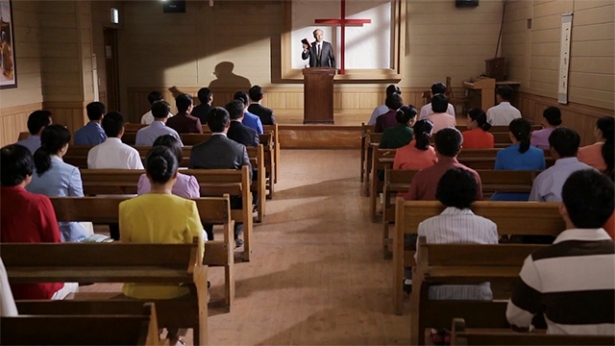 It is fair to say that, during the course of man’s belief in God, the influence of various conceptions has led to the continual formation and evolution of a knowledge in man in which he has all kinds of conceptions about God—with the result that many religious people who serve God have become His enemies. 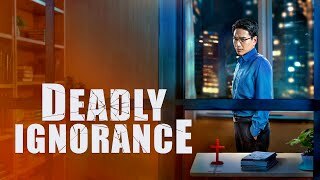 And so, the stronger people’s religious conceptions, the more they oppose God, and the more they are the enemies of God. The work of God is always new and never old, and it never forms doctrine and is, instead, continually changing and renewing to a greater or lesser extent. This work is the expression of the inherent disposition of God Himself. It is also the inherent principle of God’s work, and one of the means by which God accomplishes His management. If God did not work in this way, man would not change or be able to know God, and Satan would not be defeated. Thus, in His work there continually occur changes that appear erratic, but which are actually periodic. The way in which man believes in God, however, is quite different. He clings to old, familiar doctrines and systems, and the older they are the more palatable they are to him. How could the foolish mind of man, a mind that is as intransigent as stone, accept so much unfathomable new work and words of God? Man abhors the God who is always new and never old; he only likes the antiquated old God who is white-haired and immobile. Thus, because God and man each have their own likes, man has become the enemy of God. Many of these contradictions still exist even today, at a time when God has been doing new work for almost six thousand years. They are, then, beyond remedy. Do many people not oppose God and obstruct the work of the Holy Spirit because they do not know the varied and diverse work of God, and, furthermore, because they possess but a smidgeon of knowledge and doctrine with which to measure the work of the Holy Spirit? Though the experiences of such people are superficial, they are arrogant and indulgent in nature, and they regard the work of the Holy Spirit with contempt, ignore the disciplines of the Holy Spirit and, moreover, use their trivial old arguments to confirm the work of the Holy Spirit. They also put on an act, and are wholly convinced of their own learning and erudition, and that they are able to travel across the world. Are such people not those who are despised and rejected by the Holy Spirit, and will they not be eliminated by the new age? Are not those who come before God and openly oppose Him myopic little people, who are merely trying to show how clever they are? With but a meager knowledge of the Bible, they try to straddle the world’s “academia,” with but a superficial doctrine to teach people, they try to reverse the work of the Holy Spirit, and attempt to make it revolve around their own thought process, and short-sighted as they are, they try to behold in one glance 6,000 years of God’s work. These people do not have any reason to speak of! In fact, the greater people’s knowledge of God, the slower they are to judge His work. Furthermore, they only talk a little of their knowledge of God’s work today, but they are not rash in their judgments. The less people know of God, the more arrogant and overconfident they are, and the more wantonly they proclaim God’s being—yet they only talk of theory, and offer no real evidence. Such people are of no value whatsoever. Those who see the work of the Holy Spirit as a game are frivolous! Those who are not cautious when they encounter the new work of the Holy Spirit, who run their mouths off, are quick to judge, who give free rein to their natural instinct to deny the rightness of the Holy Spirit’s work, and also insult and blaspheme it—are such disrespectful people not ignorant of the Holy Spirit’s work? Are they not, furthermore, the ones of arrogance, inherently proud and ungovernable? Even if a day comes when such people accept the new work of the Holy Spirit, still God will not tolerate of them. Not only do they look down upon those who work for God, but also blaspheme against God Himself. Such foolhardy people will not be forgiven, either in this age or the age to come and they shall forever perish in hell! Such disrespectful, indulgent people are pretending to believe in God, and the more they do so, the more likely they are to offend God’s administrative decrees. Do not all those arrogant ones who are innately unbridled, and have never obeyed anyone, all walk upon this path? Do they not oppose God day after day, He who is always new and never old? Each of the three stages of work is carried out upon the foundation of the previous stage; it is not carried out independently, separate from the work of salvation. Though there are great differences in the age and type of work that is carried out, at its core is still the salvation of mankind, and each stage of the work of salvation is deeper than the last. Each stage of work continues on from the foundation of the last, which is not abolished. In this way, in His work that is always new and never old, God is constantly expressing an aspect of His disposition that has never before been expressed to man, and is always revealing to man His new work, and His new being, and even though the religious old guard does its utmost to resist this, and openly opposes it, God always does the new work that He intends to do. His work is always changing, and because of this, it is always encountering the opposition of man. So, too, is His disposition always changing, as are the age and recipients of His work. Furthermore, He is always doing work that has never been done before, even carrying out work that appears to man to be in contradiction to the work done before, to run counter to it. Man is only able to accept one kind of work, or one way of practice. It is difficult for man to accept work, or ways of practice, that are at odds with them, or higher than them—but the Holy Spirit is always doing new work, and so there appear group after group of religious experts that oppose the new work of God. These people have become experts precisely because man has no knowledge of how God is always new and never old, and has no knowledge of the principles of God’s work, and, what’s more, has no knowledge of the many ways in which God saves man. As such, man is utterly unable to tell if it is work that comes from the Holy Spirit, and if it is the work of God Himself. Many people cling to an attitude in which, if it corresponds with the words that came before, then they accept it, and if there are differences with the work of before, then they oppose and reject it. Today, do you all not abide by such principles? … Know that you oppose God’s work, or use your own conceptions to measure the work of today, because you do not know the principles of God’s work, and because you do not take the work of the Holy Spirit seriously enough. Your opposition to God and obstruction of the work of the Holy Spirit is caused by your conceptions and inherent arrogance. It is not because God’s work is wrong, but because you are naturally too disobedient. After finding their belief in God, some people can’t even say with certainty where man came from, yet they dare to make public speeches appraising the rights and wrongs of the Holy Spirit’s work. And they even lecture the apostles who have the Holy Spirit’s new work, passing comment and speaking out of turn; their humanity is too low, and there is not the slightest sense in them. Will the day not come when such people are rejected by the work of the Holy Spirit, and burned by the fires of hell? They do not know the work of God, but instead criticize His work, and also try to instruct God how to work. How can such unreasonable people know God? Man comes to know God during the process of seeking and experiencing Him; it is not through criticizing Him at whim that he comes to know God through the enlightenment of the Holy Spirit. The more accurate people’s knowledge of God, the less they oppose Him. In contrast, the less people know of God, the more likely they are to oppose Him. Your conceptions, your old nature, and your humanity, character and moral outlook are the “capital” with which you resist God, and the more corrupt, degraded and low you are, the more you are the enemy of God. Those who are possessed of grievous conceptions and have a self-righteous disposition are even more in enmity of God incarnate, and such people are the antichrists. If your conceptions are not rectified, then they will always be against God; you will never be compatible with God, and will always be apart from Him. Do you wish to know the root of why the Pharisees opposed Jesus? Do you wish to know the substance of the Pharisees? They were full of fantasies about the Messiah. What’s more, they believed only that the Messiah would come, yet did not seek the truth of life. And so, even today they still await the Messiah, for they have no knowledge of the way of life, and do not know what the way of truth is. How, say you, could such foolish, stubborn and ignorant people gain God’s blessing? How could they behold the Messiah? 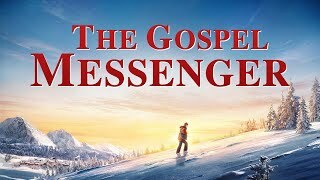 They opposed Jesus because they did not know the direction of the Holy Spirit’s work, because they did not know the way of truth spoken by Jesus, and, furthermore, because they did not understand the Messiah. And since they had never seen the Messiah, and had never been in the company of the Messiah, they made the mistake of paying empty tribute to the name of the Messiah while opposing the substance of the Messiah by any means. These Pharisees in substance were stubborn, arrogant, and did not obey the truth. The principle of their belief in God is: No matter how profound Your preaching, no matter how high Your authority, You are not Christ unless You are called the Messiah. Are these views not preposterous and ridiculous? Foolish and ignorant men often regard the normal humanity of Christ as a flaw. No matter how He expresses and reveals the being of His divinity, man is unable to acknowledge that He is Christ. And the more that Christ demonstrates His obedience and humility, the more lightly foolish men regard Christ. There are even those who adopt toward Him an attitude of exclusion and contempt, yet place those “great men” of lofty images upon the table to be worshiped. Man’s resistance to and disobedience of God come from the fact that the substance of the incarnate God submits to the will of God, as well as from the normal humanity of Christ; herein lies the source of man’s resistance to and disobedience of God. If Christ had neither the guise of His humanity nor sought the will of God the Father from the perspective of a created being, but was instead possessed of a super humanity, then there likely would be no disobedience in any man. The reason man is always willing to believe in an invisible God in heaven is because God in heaven has no humanity and He does not have a single quality of a created being. So man always regards Him with the greatest esteem, but holds an attitude of contempt toward Christ. An invisible and intangible God is loved and welcomed by all. If God is just a Spirit that is invisible to man, it is so easy for man to believe in God. Man can give free rein to his imagination, can choose whatever image he likes as God’s image to please himself and make himself feel happy. In this way, man may do whatever his own God most likes and wishes for him to do, without any scruples. What’s more, man believes that no one is more loyal and devout than he toward God, and that all others are Gentile dogs, and disloyal to God. It can be said that this is what is sought by those whose belief in God is vague and based on doctrine; what they seek is all much the same, with little variation. It is merely that the images of God in their imaginations are different, yet their substance is actually the same. Man is untroubled by his carefree belief in God, and believes in God however he pleases. 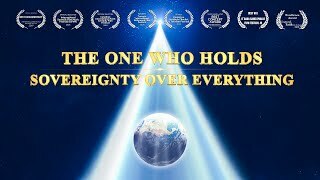 This is one of the “rights and freedoms of man,” which no one can interfere, for man believes in his own God and not the God of anyone else; it is his own private property, and almost everyone possesses this kind of private property. Man regards this property as a precious treasure, but to God there is nothing more lowly or worthless, for there is no clearer indication of opposition to God than this private property of man. It is because of the work of God incarnate that God becomes a flesh who has a tangible form, and who can be seen and touched by man. He is not a formless Spirit, but a flesh that can be contacted and seen by man. However, most of the Gods people believe in are fleshless deities that are formless, which are also of a free form. 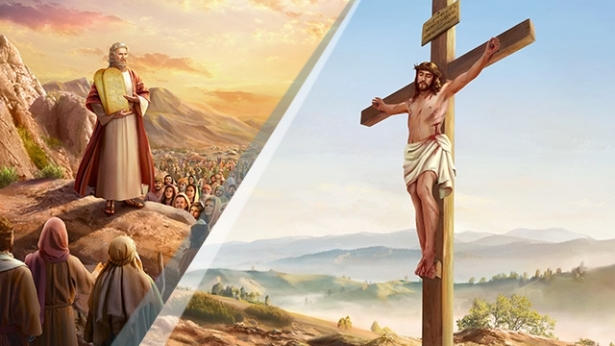 In this way, the incarnate God has become the enemy of most of those who believe in God, and those who cannot accept the fact of God’s incarnation have, similarly, become the adversaries of God. Man is possessed of conceptions not because of his way of thinking, or because of his rebelliousness, but because of this private property of man. It is because of this property that most people die, and it is this vague God that cannot be touched, cannot be seen, and does not exist in fact that ruins man’s life. Man’s life is forfeited not by the incarnate God, much less by the God of heaven, but by the God of man’s own imagining. All men wish to see the true countenance of Jesus and all desire to be with Him. I believe that not one of the brothers or sisters would say that he or she is unwilling to see or to be with Jesus. Before you have seen Jesus, that is, before you have seen the incarnate God, you are likely to entertain all sorts of ideas, for example, about Jesus’ appearance, His way of speaking, His way of life, and so on. However, once you have really seen Him, your ideas will swiftly change. Why is this? Do you wish to know? While it is true that man’s thinking cannot be overlooked, it is even more intolerable for man to alter the substance of Christ. You regard Christ as an immortal or a sage, but no one regards Christ as a normal man with divine substance. Therefore, many of those who yearn day and night to see God are actually enemies of God and are incompatible with Him. Is this not a mistake on the part of man? Even now you still think that your belief and loyalty are enough to make you worthy of seeing the countenance of Christ, but I exhort you to equip yourselves with more things that are practical! This is because in the past, present, and future, many of those who come in contact with Christ have failed or will fail; they all play the role of the Pharisees. What is the reason for your failure? It is precisely because there is in your notions a God who is lofty and deserving of admiration. But the truth is not as man wishes. Not only is Christ not lofty, but He is particularly small; not only is He a man, but He is an ordinary man; not only can He not ascend to heaven, but He cannot even move about freely on earth. And this being so, people treat Him as they would an ordinary man; they do as they please when they are with Him, and speak to Him heedlessly, all the while still waiting for the coming of the “true Christ.” You take the Christ that has already come for an ordinary man and His word for that of an ordinary man. For this reason, you have not received anything from Christ, and have instead completely exposed your own ugliness to the light. Why do I say that those in the religious world do not believe in God and are evildoers, who are of the same kind as the devil? When I say they are evildoers, it is because they do not understand the will of God or see His wisdom. God at no time reveals His work to them; they are blind men, who do not see the deeds of God. They are those forsaken by God and do not possess at all the care and protection of God, much less the work of the Holy Spirit. Those without the work of God are evildoers and stand in opposition to God. The source of the revelation of man’s corrupt disposition is nothing more than his dulled conscience, his malicious nature and his unsound sense; if man’s conscience and sense are able to return to normal, then he will become fit for use before God. It is simply because man’s conscience has always been numb, man’s sense has never been sound, and is increasingly dull that man is increasingly rebellious toward God, such that he even nailed Jesus to the cross and has refused God incarnate of the last days entry into his home, and condemns God’s flesh, and sees God’s flesh as vile and lowly. 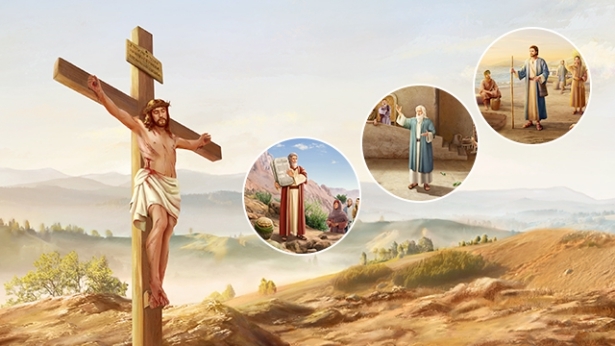 If man had but a little humanity, he would not be so cruel in his treatment of God’s incarnate flesh; if he had but a little sense, he would not be so vicious in his treatment of the flesh of God incarnate; if he had but a little conscience, he would not be so “grateful” to God incarnate in this way. 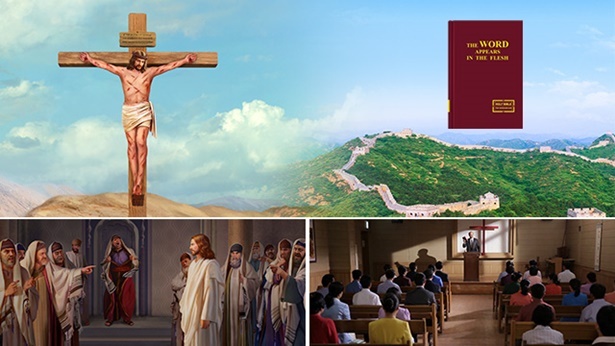 Man lives in the era of God become flesh, yet he is incapable of thanking God for giving him such a good opportunity, and instead curses the coming of God, or completely ignores the fact of God’s incarnation, and is seemingly against it and weary of it. Regardless of how man treats the coming of God, God, in short, has always carried on with His work regardless—even though man has not been the slightest bit welcoming toward Him, and blindly makes requests of Him. Man’s disposition has become supremely vicious, his sense has grown supremely dull, and his conscience has been completely trampled by the evil one and long ago ceased to be the original conscience of man. Those who read the Bible in grand churches recite the Bible every day, yet not one understands the purpose of God’s work. Not one is able to know God; moreover, not one is in accord with the heart of God. They are all worthless, vile men, each standing on high to teach God. Though they brandish the name of God, they willfully oppose Him. Though they label themselves believers of God, they are ones who eat the flesh and drink the blood of man. All such men are devils who devour the soul of man, head demons who purposefully disturb those who try to step onto the right path, and stumbling blocks that impede the path of those who seek God. Though they are of “robust flesh,” how are their followers to know that they are antichrists who lead man in opposition to God? How are they to know that they are living devils who specially seek souls to devour? Previous：Why is it said that religious pastors and elders are all walking the path of the Pharisees? What is their essence? Next：Are religious pastors and elders really all established by God? Can one’s acceptance of and obedience to religious pastors and elders represent their obedience to and following of God? Why is it said that religious pastors and elders are all walking the path of the Pharisees? What is their essence? Those who only believe in Jesus Christ but do not believe in the incarnate God of today are all condemned. They are all contemporary Pharisees because they do not recognize the God of today, and they all resist God. No matter how devoted their belief in Jesus is, it will all be in vain; they will not receive God’s praise. ..there are many religious people such as this. 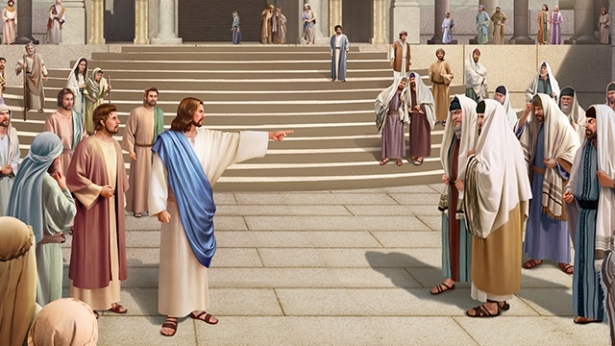 Why did the Lord Jesus curse the Pharisees? What exactly was the essence of the Pharisees? Do you wish to know the root of why the Pharisees opposed Jesus? Do you wish to know the substance of the Pharisees? They were full of fantasies about the Messiah. What’s more, they believed only that the Messiah would come, yet did not seek the truth of life. ...These Pharisees in substance were stubborn, arrogant, and did not obey the truth. Are religious pastors and elders really all established by God? Can one’s acceptance of and obedience to religious pastors and elders represent their obedience to and following of God? What are the consequences of someone believing in God in religion and being subject to the deception and control of the Pharisees and antichrists? Can one be saved by God if they believe in God this way? Pastors and leaders in the religious world, for example, rely on their gifts and positions to do their work. ...and what they express is knowledge and vague religious truth, which are out of touch with reality and are completely unable to confer people with life. ...What excuse can they have to say that God does not save them? Why does God have different names in different ages? 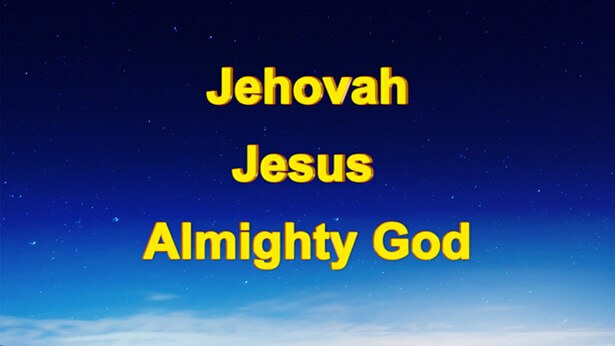 What are the meanings behind God’s names? What are the essential differences between the work of God and the work of man? In the religious world, do the truth and God hold the power, or do the antichrists and Satan hold the power? 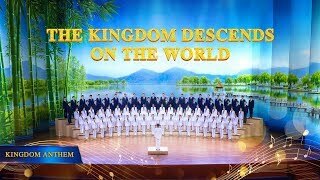 Why does the religious world put so much effort into condemning and madly resist Almighty God and The Church of Almighty God? How does God treat those who believe Satan’s rumors and turn their backs on Him? Why Does the Chinese Communist Party Force Christians to Join the Three-Self Church? Why Do Christians Risk Their Lives to Preach the Gospel and Witness for God? 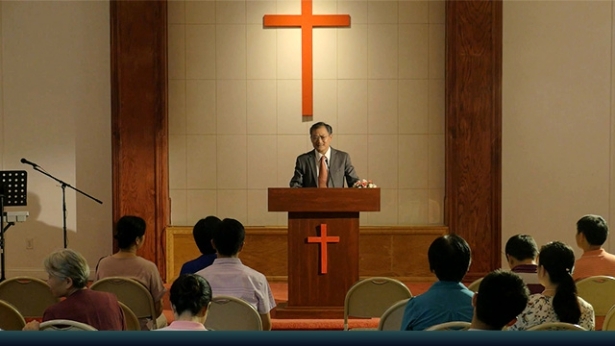 The CCP Slanders The Church of Almighty God as a “Human Organization.” What’s Their Motive?